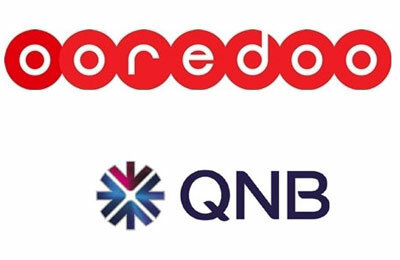 Ooredoo, a leading Qatar-based telecommunication group, will be hosting a joint workshop with Qatar National Bank (QNB) for the small and medium enterprise (SMEs) on May 22 in Doha. The SMEs Evolution Program (SMEEP) Season 5 2013 is part of wider SME development initiative in 29 countries and is aimed at enhancing the participants' skills allowing them to compete effectively in the international market place. It is being developed by Potential.com, a business consultany and training company. The initiative, being offered for free to all SMEs, will help empower business enterprises in Qatar and provide them with essential telecom and banking services. The program aims to offer best practices and practical support to existing SMEs in Qatar and consists of live webinar training sessions and live workshops over a five-month period. It also offers content, tools, offers and resources that can be accessed on www.Potential.com. Ooredoo will give the participants access to training and development courses, which include 13 webinars presented in English, French, and Arabic, in addition to live events delivered by keynote speakers, who are all experts in their field. The events will cover various practical business topics such as strategy, innovation, business planning, financing, among others. There will also be a number of live workshops, which will focus on business expansion and Information Communication Technology. By the end of the program, registered SMEs will benefit from gaining business expertise, exposure, access to finance and more. Sheikh Nasser Bin Hamad Al-Thani, chief business officer at Ooredoo, said, “We see the SME sector as critically-important for the economic development of the nation. We are pleased to support this business development program, which will help to enhance skills and share knowledge."